Once your security system is in place, you have a platform upon which to build your home automation system. Using Z-Wave, a wireless technology like WiFi, we build a mesh network in your home. But unlike WiFi, Z-Wave signals do not get lost – the devices receive and repeat with the other devices in the network, making your network stronger and more stable. Plus your Home Control program will show you the status of all devices in your network. So let’s start with the basics – thermostats. Your current thermostats can be replaced with Z-Wave thermostats or if you are building your home, you can install them during construction. Digital Touch Screens with back lighting, humidity controls and Energy Savings Modes are aesthetically pleasing and effective. You are well on your way to maximizing your system and saving energy. Within your home automation account, you will have access to set schedules based on your life. 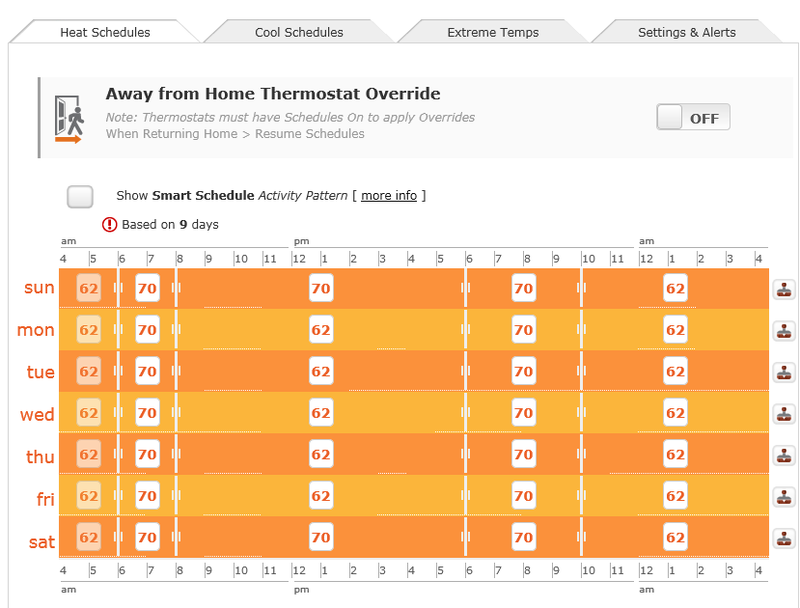 Better than that, the connection to your security system makes your thermostat exponentially smarter. Using information from all of your sensors – door and windows opening, motion, arming and disarming – the system learns your patterns and makes a personal recommendation for optimal energy performance. More information means better performance. Then we add an energy meter. The energy meter will monitor the total consumption of electricity used by your home. Intelligent clamps report energy use in real time back to your Z-Wave gateway or controller, in watts or kilowatt-hours. So you can see how much electricity you really use and when you use it. Now, lights! Light switches, outlets, lamp modules, appliance modules, door locks, garage door controller, even Z-Wave light bulbs. Create scenes to turn on specific lights, open the garage door, and turn on preset heat/AC temperatures with the click of a button as you arrive home. Program your system to turn off lights when you arm the panel to leave for work, then turn on select lights when kids return from school and disarm. You can even schedule the TV to turn off when it’s time for homework to be done. By remotely controlling the power of any Z-Wave connected device, the possibilities are nearly endless!